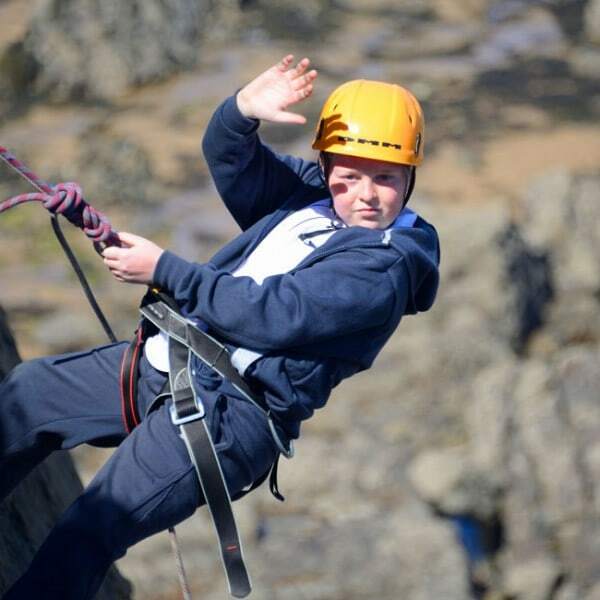 Outdoor Adventure provide specialist support to schools in delivering specific units and sports relevant to outdoor adventurous activities and outdoor education. 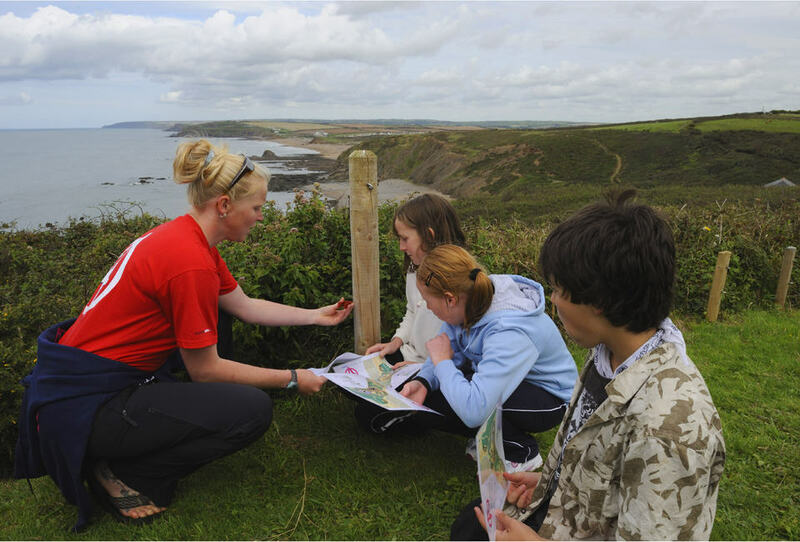 These residential programmes can be tailored to suit the specific units and activities chosen within the qualification. They can be delivered both over a weekend or over 3 – 5 days during the week. We have a proven track record in vocational training and assessment. In today’s busy education sector, it can be challenging for schools to meet all the different aspects of BTEC courses. This can range from staff shortages, lack of staff qualifications and lack of facilities or equipment. Outdoor Adventure can help you solve these problems. 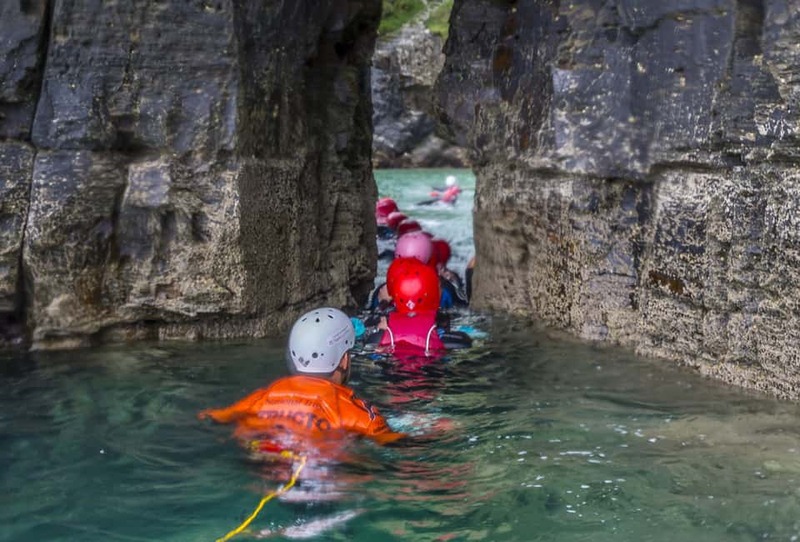 We can really bring the qualification to life for your students through exceptional instruction from our dedicated and inspirational team, access to spectacular activity locations and support with ongoing assessment to track your students’ progress. We have up to date interpretation of the BTEC criteria including differentiation to meet the needs of all the learners and can cover the theoretical assessment criteria by evening workshops. Edexcel BTEC Level 3: Certificate, Subsidiary Diploma, Diploma and Extended Diploma. Edexcel BTEC Level 2: Certificate, Extended Certificate and Diploma. Edexcel BTEC Level 3: Certificate, Subsidiary Diploma, Diploma and Extended Diploma (Uniformed and Non-Uniformed). 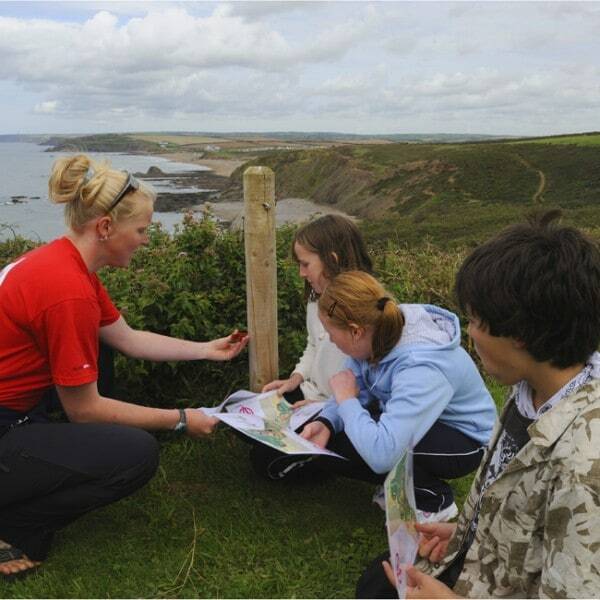 For many schools it can be very challenging to provide OAA in their local area through a lack of resources and this is where we can really help. We offer intensive courses that cover the teaching, supporting evidence and assessment of all the practical skills required, as well evening workshops and master classes that back up theoretical aspects of the sports. 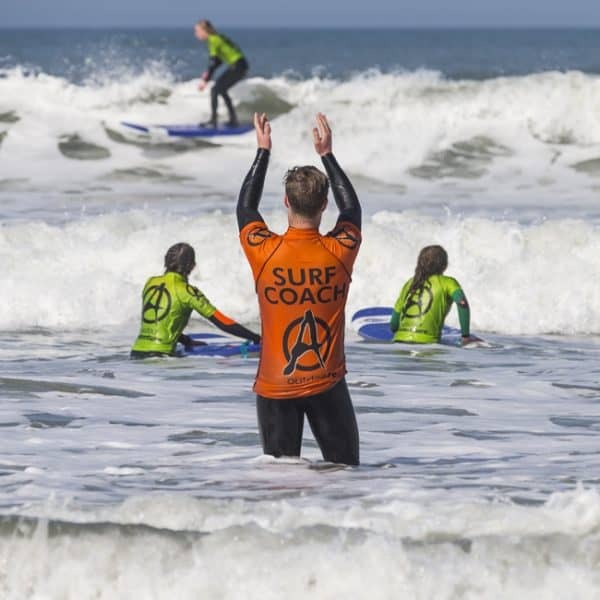 Our team have in depth experience of working with the GCSE PE criteria and the skills and experience to deliver the course in a fun and inspirational way. 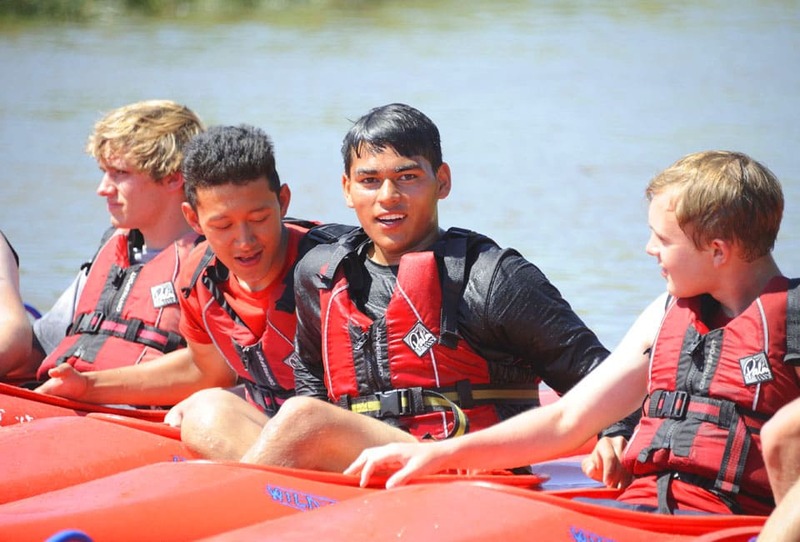 As well as the specific activities the students are studying during their residential, many schools include an extra sport as a fun session to act as an incentive to stay focused and motivated throughout the programme. 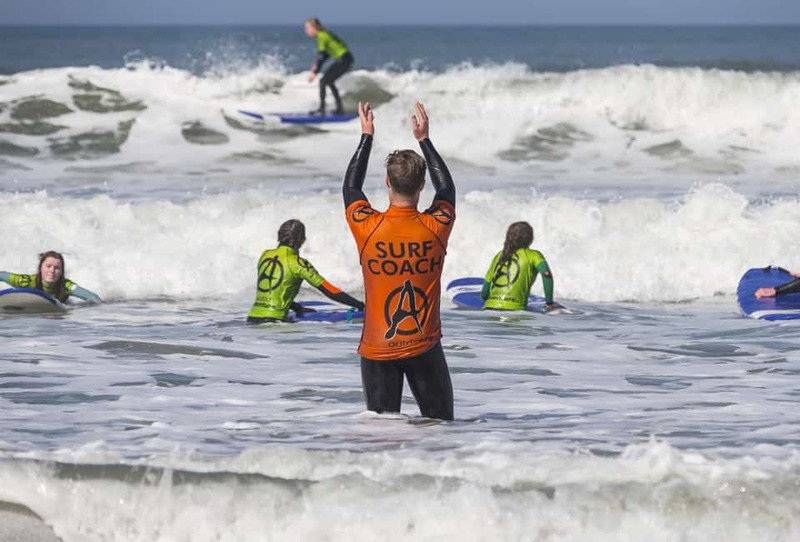 Surfing is often chosen as the perfect activity for this. 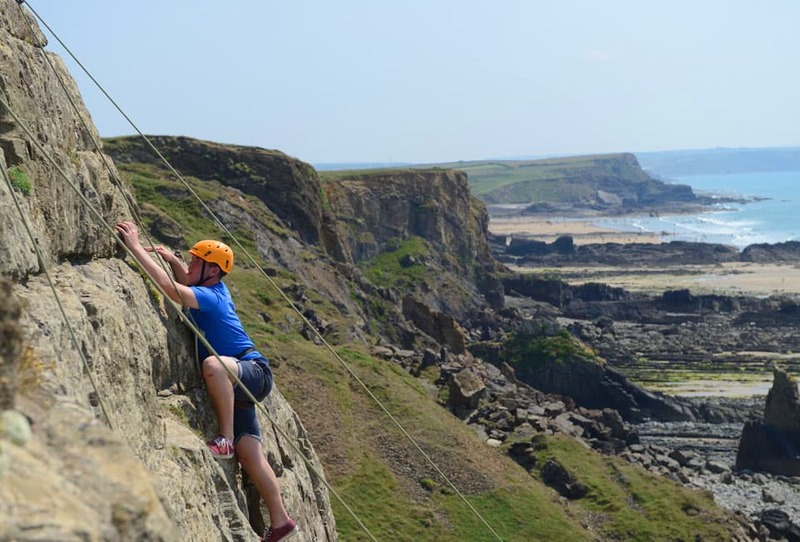 Outdoor Adventure consistently achieve top band grades for the students in climbing due to our resources and quality of training. 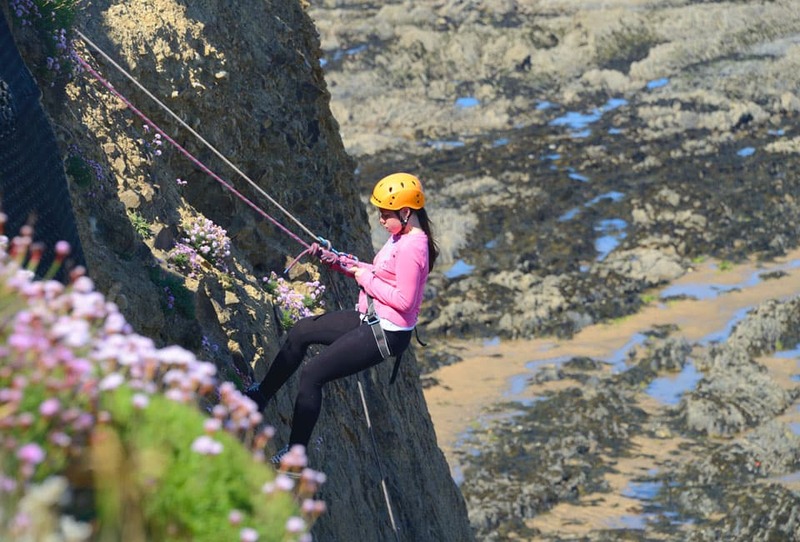 We are lucky enough to have 2 stunning sea cliff crags to use whilst on your residential within a short minibus ride, and a spectacular 70 ft cliff abseil within walking distance of the Activity Centre. If the group also wish to climb inland the classic tors of Dartmoor are not far away. 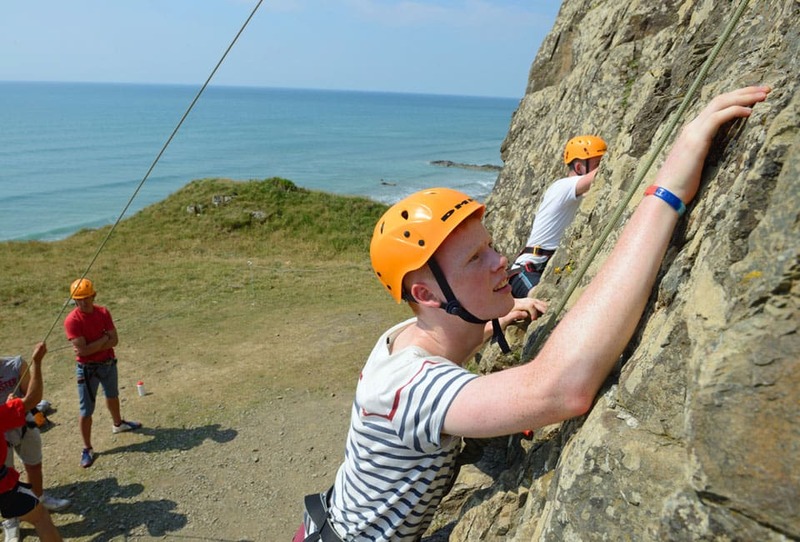 If it is felt appropriate at any time we also have use of an indoor climbing wall at Bude. 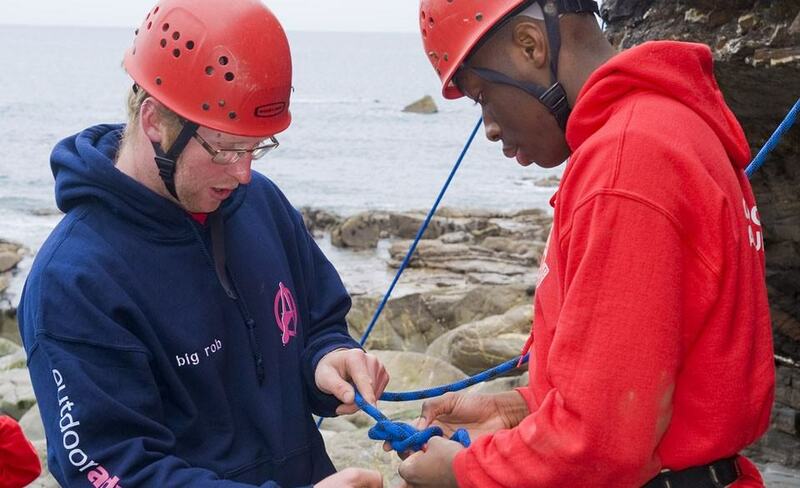 At the Activity Centre we have a traverse climbing wall with belay anchor bolts for practising tying in, belaying and abseil techniques. 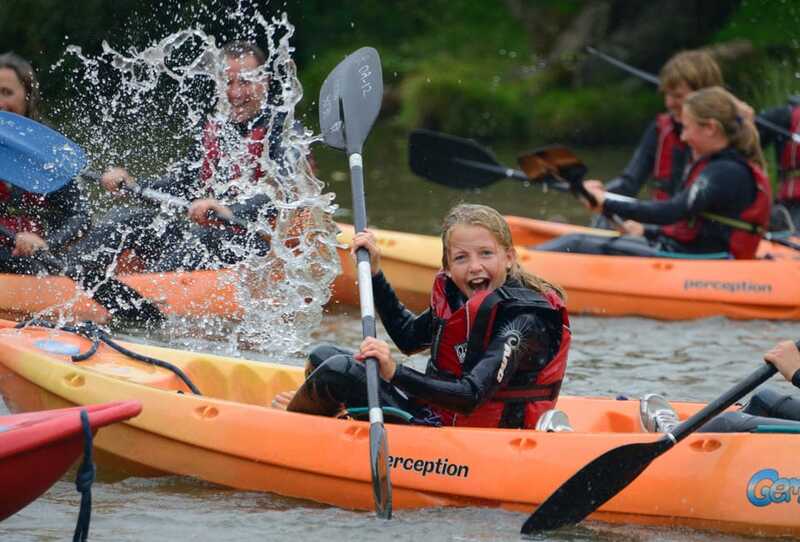 For 2019 we have designed an inspiring challenging paddle sport programme to enable schools to gain a solid foundation in these sports leading to an initial mid band grade. This training then allows groups to progress to higher grades when they get back to school by continuing the progression using their local facilities. 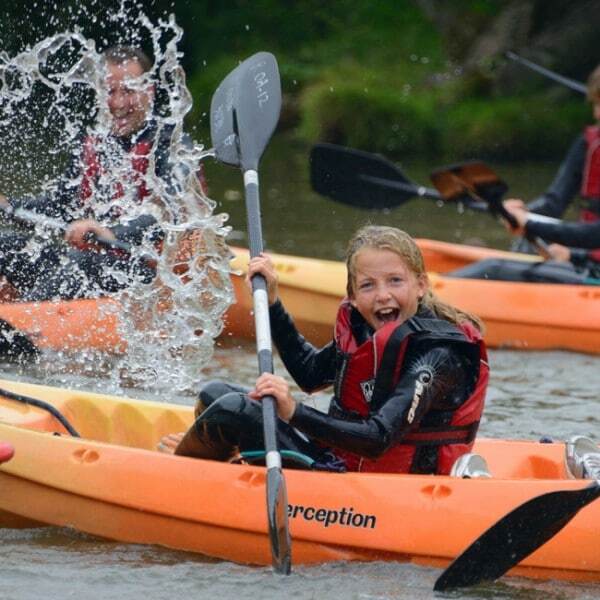 At Outdoor Adventure we have a large range of kayaks and canoes including sit on tops. 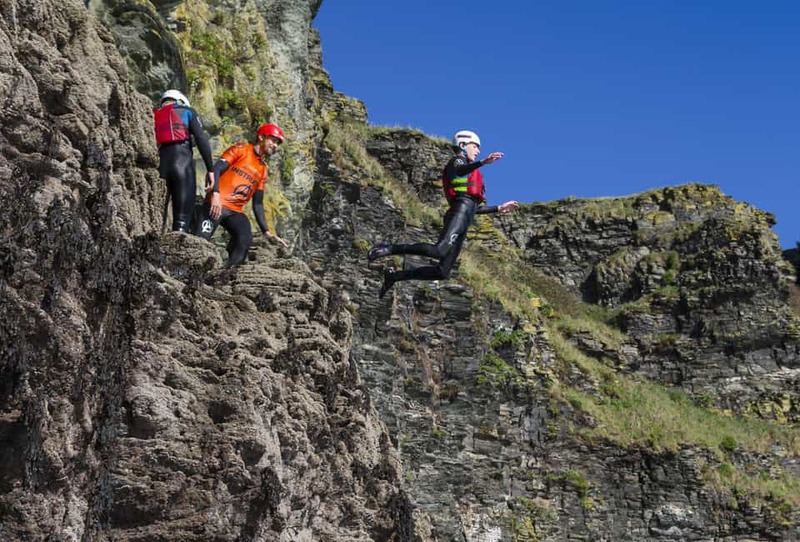 The location we use is the Bude Canal only 5 minutes away which is perfect for this foundation training. 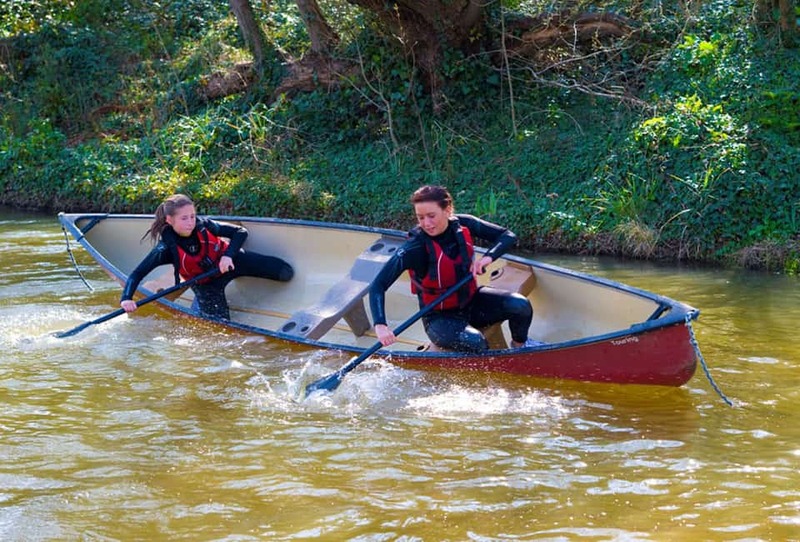 As well as being able to use it in any weather conditions, it is also a great stretch of water with loads of history and wildlife to paddle past including herons and kingfishers. 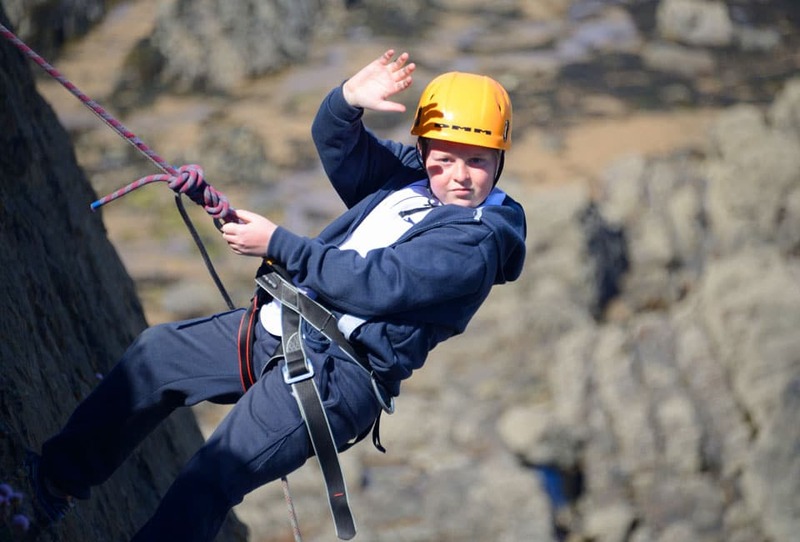 For many schools it can be very challenging to provide outdoor and adventurous activities in their local area through a lack of resources and this is where we can really help. We offer intensive residential courses that cover the teaching, supporting evidence and assessment of all the practical skills required as well evening workshops and master classes that back up theoretical aspects of the sports. 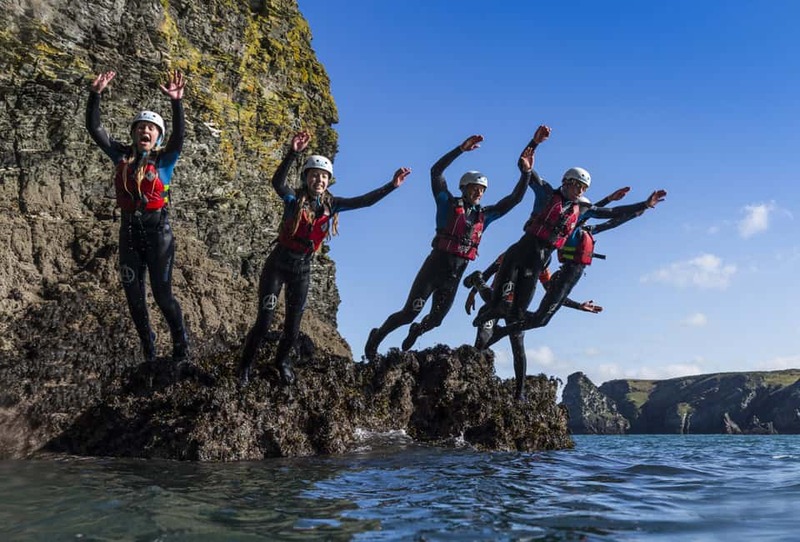 Teachers can tailor their programme to include any of the land or water based activities we provide, and watch their students experience and enjoy these activities in spectacular locations. Our team have in depth experience of working with the Cambridge Nationals criteria and the skills and experience to deliver the course in a fun and inspirational way. 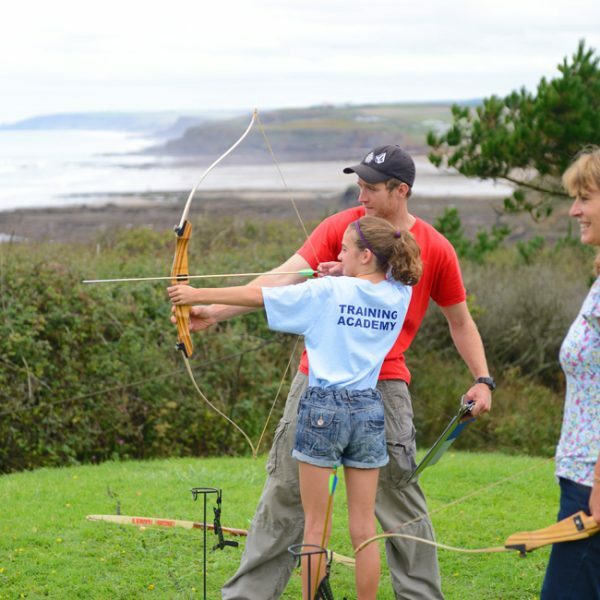 We specialise in Unit RO56, Developing Knowledge and Skills in Outdoor Activities. 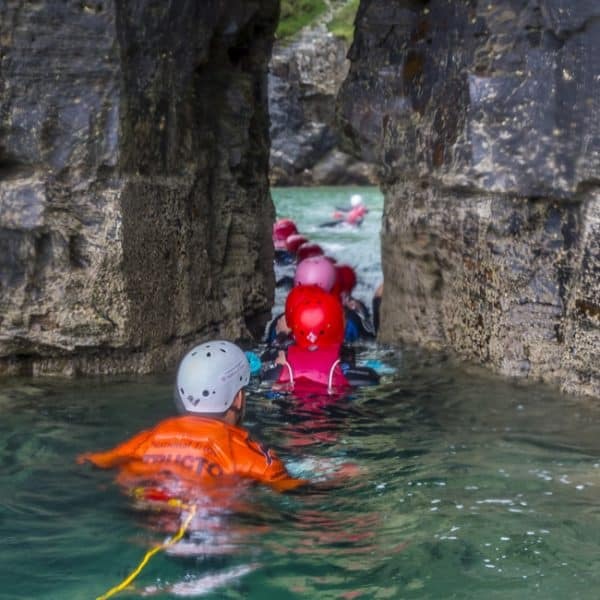 Our Adventure Centre is ideal for delivering this unit as we coach in such a wide range of exciting and challenging outdoor and adventurous activities. The Sports Studies option also explores contemporary issues in sport, different ways of being involved in the sports industry, and the impact of sport on wider society. 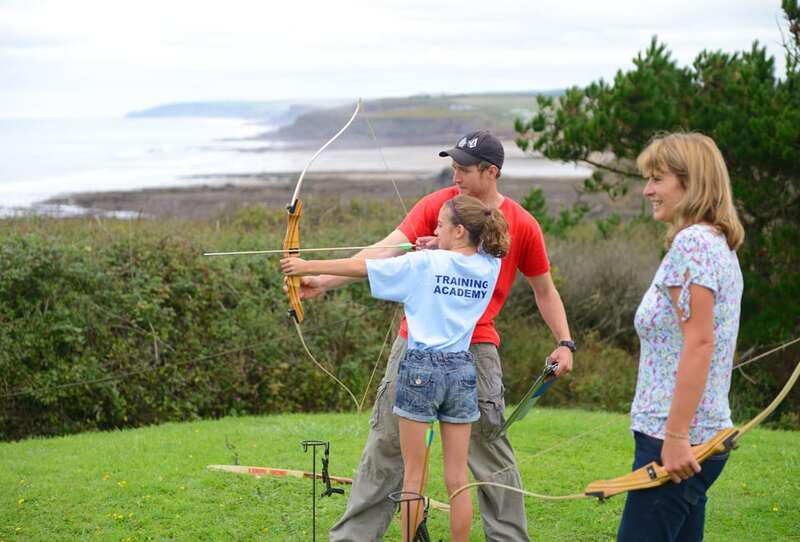 Your students will be staying at an activity centre at the leading edge of the outdoor industry, which has to work hard to stay up to date with how things are constantly changing in society. They get to hear how it all works in the real commercial world by talking to our staff who have endless knowledge and have made this their career.